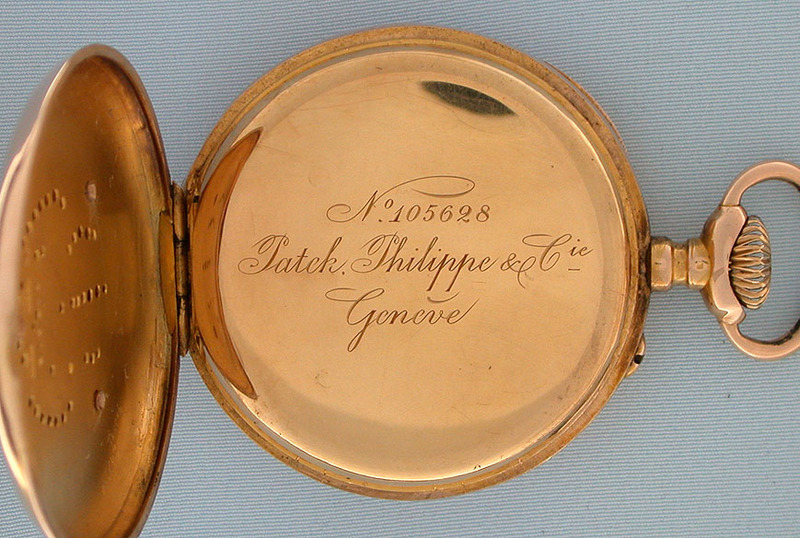 Fine Swiss Patek Philippe 18K gold and precious stone antique pocket watch with rare 24-hour dial circa 1897. 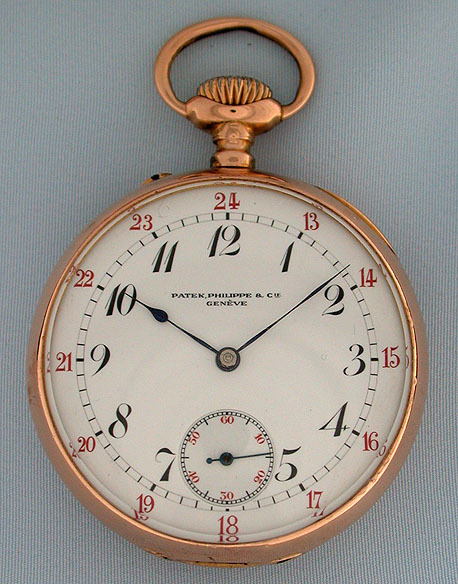 White enamel dial with black and red numerals and blued steel hands. 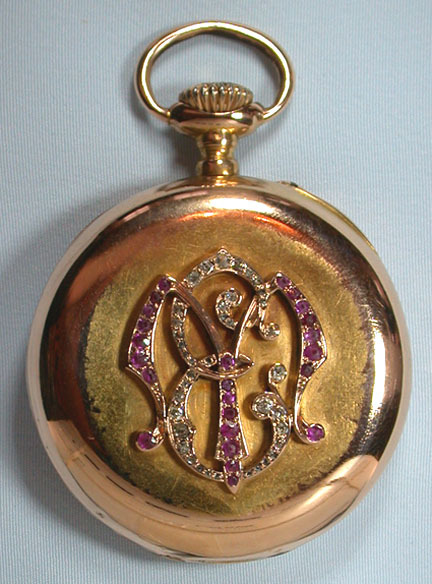 The case with a diamond and ruby set monogram against a matte background. 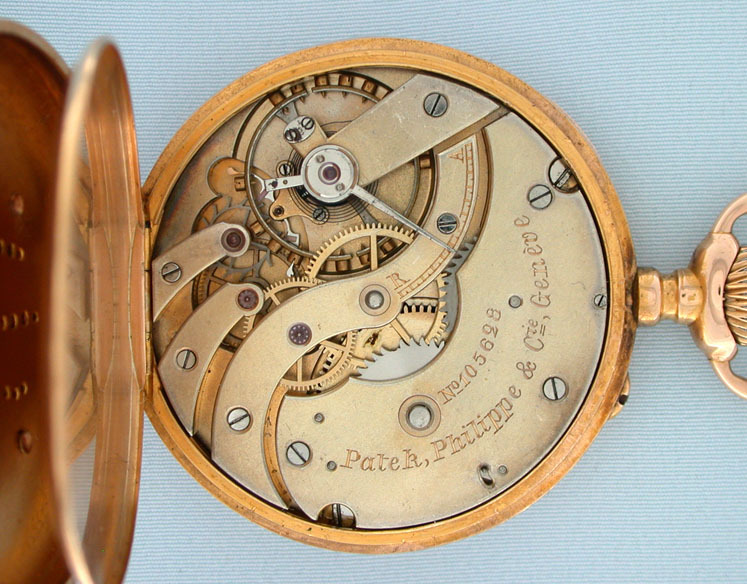 Frosted gilt 15 jewel lever movement with wolf's tooth winding and counterpoised . "moustache" pallet.